Another installation which will be shown on FaceBook click here for more info. 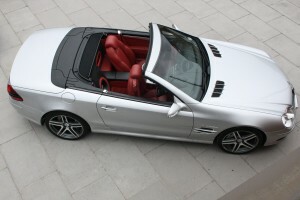 This customer “Pete” contacted me with complete disappointment over the stock Bose system that Mercedes use, Pete loves driving the SL but occasionally turns the CD player off as the sound just becomes annoying to listen to. When Pete came over and had a listening to the “Sonic Punch” demo vehicle he instantly realised it was a massive upgrade and after a few albums he just kept laughing (with enjoyment and surprise) at the comparison to the terrible stock Bose system that Mercedes leave their customers with. Another issue for Pete was the “cheap” plasticly feel to the pillars and head-lining, and after seeing my own Sonic Bliss system here on demo he wanted some of that effect from of the Alcantara and decided to go with the darker colour as Mercedes had done from factory on the cluster visor done. 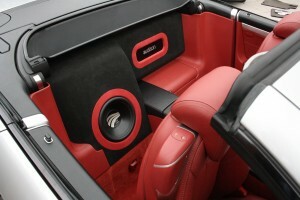 To follow this Mercedes install on www.FaceBook.com click here.